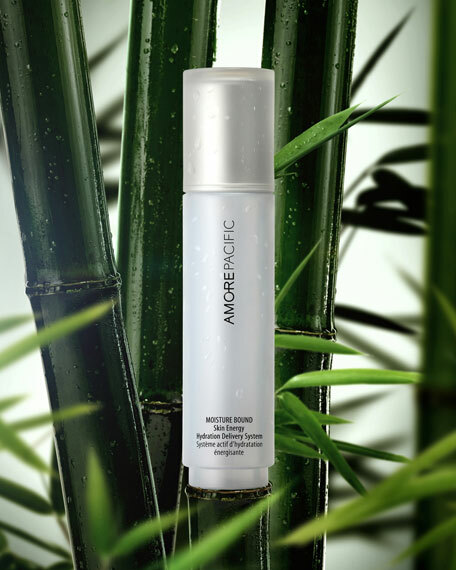 AMOREPACIFIC MOISTURE BOUND Skin Energy Hydration Delivery System, 2.7 oz. 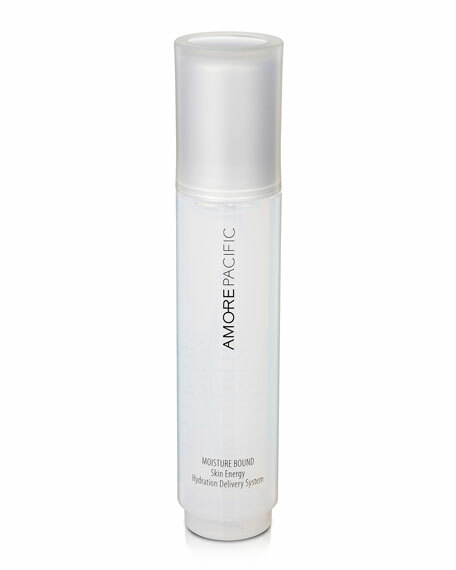 AMOREPACIFICMOISTURE BOUND Skin Energy Hydration Delivery System, 2.7 oz. A light, water-free, botanical booster that instantly provides a pick-me-up for skin. Lightweight mist replenishes and energizes skin, fortifying firmness and elasticity. Helps maximize the action and benefits of serums, moisturizers, and masques used after. Bamboo sap, revered throughout the ages as "divine water," is rich in minerals that stimulate the skin, amino acids that boost hydration, and sacharrides that energize skin cells. Used in lieu of distilled water. Panax red ginseng, rich in iron, potassium, and magnesium, increases skin vitality and radiance. Immediately following toner, lightly mist the entire face, neck, and décolleté. Reapply throughout the day to hydrate and refresh. May be applied over makeup. Treatment Cleansing Oil, to gently cleanse. Vitalizing Serum, to moisturize and replenish. Refining Creme, to gently exfoliate and moisturize.